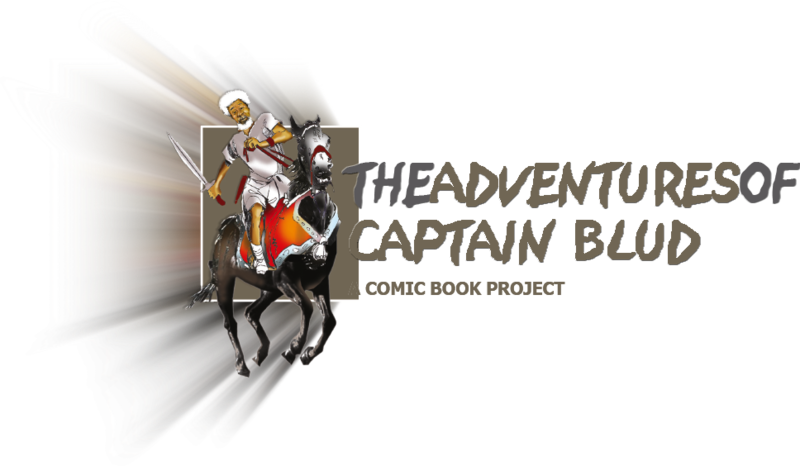 The Adventures of Captain Blud (TAoCB) is a comic book project conceived as a living memorial to the life & times of Professor Wole Soyinka (aka Captain Blud), and the band of Original Seven. he Adventures of Captain Blud (TAoCB) is conceived as a living memorial to the life & times of Professor Wole Soyinka (aka Captain Blud), and his band of 6 Seadogs, who collectively are known within the pyratical space of the National Association of Seadogs (Pyrates Confraternity) as the Original 7. The comic book is intended, primarily, to celebrate the 80th birthday of Professor Wole Soyinka, Nobel Laureate. The life of Professsor Wole Soyinka itself has been one of tremendous adventures, enmeshed in the struggle of good over evil, liberty over slavery, intellect over ignorance, courage over fear and hope over despair. The project is led by Olu Ajayi, an award winning artist. The team of renowned artistes and researchers includes the award-winning Chuks Onwudinjo, Abiola Owoaje, Femi Jarret, Yemi Disu Yesufu, Tola Obembe and Uwe Onyile. "I don't know any other way to live but to wake up every day armed with my convictions, not yielding them to the threat of danger and to the power and force of people who might despise me."